The Kizer Ki3310 Mistral folder is a very good looking, very unique everyday carry (EDC). Akin to the sharp wind that sweeps through the Mediterranean, the Kizer Mistral is a speedaholic that demands attention as you call upon it to bring the clear and bright day that the mistral wind is known for. The handles are made from milled titanium with a rainbow anodized finish and red/black G10 inlays for a look unlike any other. It's ergonomically curved to fit the hand like a glove and the action is very smooth using the thumb slot opening method. 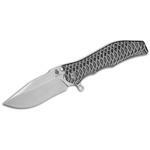 The 3.25" drop point blade is crafted from S35VN stainless steel with a stonewashed finish. S35VN is a high grade steel with exceptional edge retention and wear resistance. 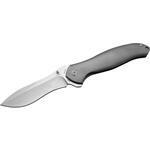 The knife features a flow-through design, frame lock, thumb slot and reversible pocket clip for tip-up right or left-hand carry. Kizer uses high-tech wire EDM machines to cut the parts. This method is slower than laser or water jet but Kizer feels quality is worth the wait. 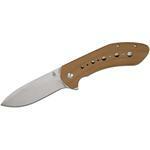 Each component in Kizer knives is precision machined and engineered to the finest tolerances. The final fit, finish, action, and sharpness of each knife is achieved entirely by hand, employing the irreplaceable craftsmanship developed by generations of cutlery masters. 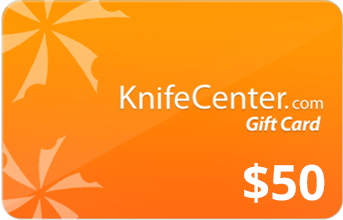 Dedicated craftsman honoring the long term goal of making the best knives possible is what Kizer brings to you. 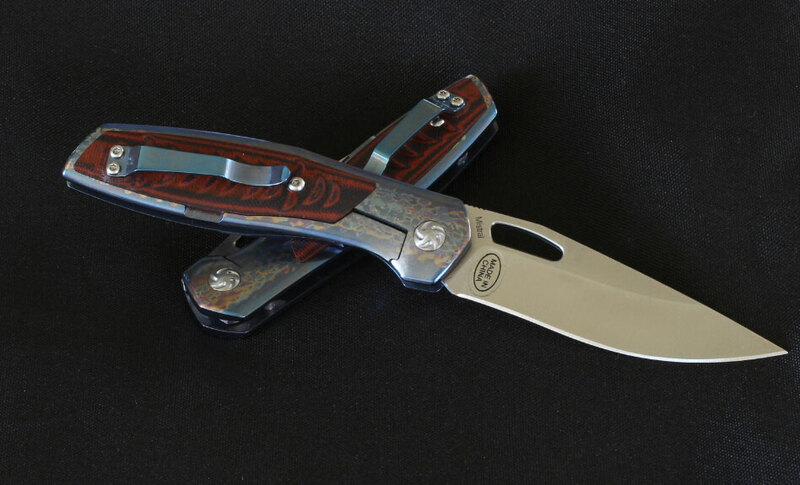 The Prime series grew out of the Kizer team's love of knives. These designs share the same material and production method as the Bladesmith series but use more internally inspired designs. They believe that the customer will find some truly unique and ever-changing designs in the Kizer Prime products. Bold, ambitious, and built with uncompromising quality. Take pride in the Kizer Prime series. No matter where you are, always expect the unexpected. When others rely on you to keep them safe, rely on Kizer's Prime series to perform as reliably as its flawless worksmanship. Always be at the ready, and Kizer's Prime knives will add an elegant final touch! A tougher steel than S30V, it retains the excellent corrosive properties and ability to take an edge, but improves on the ability to hold that edge. 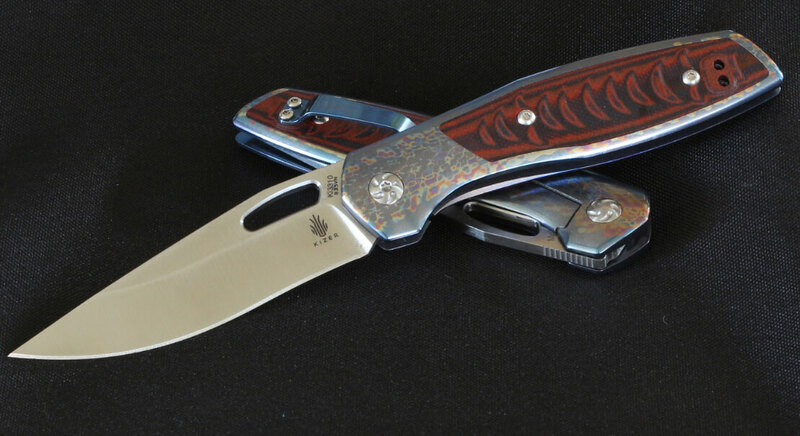 Hey, I wanted to share "Kizer Cutlery Ki3310 Mistral Folding Knife 3.25 inch S35VN Drop Point Blade, Rainbow Titanium Handles with Red/Black G10 Inlays" with you from KnifeCenter.